With an aim to built a distinct identity of System Integrators, Mumbai based Trade Association of Information Technology (TAIT) has launched SI forum. TAIT made formal announcement of formation of separate forum exclusively for the SIs during the DQ Channels 10th SP summit held recently. K R Chaube, president of TAIT said that the association has initiated focused approach with the formation of the SI forum. “The SI forum would work with a collaborative approach to take business of the SI community to the next level. It will have focused approached in terms of statutory requirements and Industry Standard regulations”, Chaube said. “It’s time to come together, collaborate by transforming our business model to achieve common objectives of the growth”, he said. Chaube said that around 40 Solution Providers with the focused ICT solutions lines of business have already become a part of this forum. 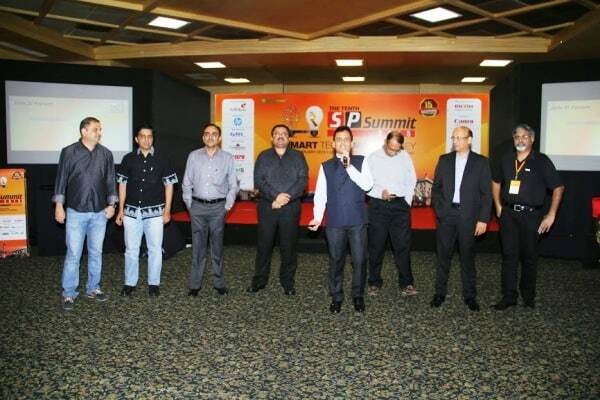 “Many solutions providers across the India have shown their eagerness to know and be the part of the SI forum”, he said. Solution providers and system integrators such as Ashtech Infotech, CDP India, Dynacons, VDA Infosolutions, Magnanimous, Techlink Infoware, ACMA, Network Techlab, Wystek Shreemat Computers, Orient Technologies, Insight Business Machines, Unified Data have become a part of the SI forum. The SI forum is chaired by Mr. Neel Shah of Insight Business Machines with the core committee members Hiren Mehta of Unified Data, Parag Dalal of Dynacons, Biren of ACMA Computers and the TAIT board appointee directors K R Chaube, Nikesh Sakaria and Ajay Parekh. Nikesh Sakaria, Managing Director of CDP India said that the SI forum would further strengthen the SI community and do the collaboration among the system integrators. Sakaria said that the association was intended to expand the forum at a national level. He said that the unique part of TAIT SIs forum was that many big System Integrators and Solution providers are part of it. TAIT has appealed all the solution providers across India to join the SI forum for the mutual benefits of each other through collaboration. TAIT launches SI forum for System Integrators 0 out of 5 based on 0 ratings. 0 user reviews.